When will be Married at First Sight: Rewind next episode air date? Is Married at First Sight: Rewind renewed or cancelled? Where to countdown Married at First Sight: Rewind air dates? Is Married at First Sight: Rewind worth watching? Jamie's tough past comes back to haunt her as she takes her husband, Doug, to visit the trailer park she grew up in. Three newlywed couples that married at first sight must learn to cope with the conflicts arising in their relationships. Spiritual advisor Greg Epstein advises the newlyweds to use their remaining days to do something romantic for one another to help them decide whether to stay married or get divorced. With the five weeks almost up, the time draws near for the couples to decide whether they want to stay married or get a divorce. Married at First Sight: Rewind next episode air date provides TVMaze for you.  EpisoDate.com is your TV show guide to Countdown Married at First Sight: Rewind Episode Air Dates and to stay in touch with Married at First Sight: Rewind next episode Air Date and your others favorite TV Shows. Add the shows you like to a "Watchlist" and let the site take it from there.